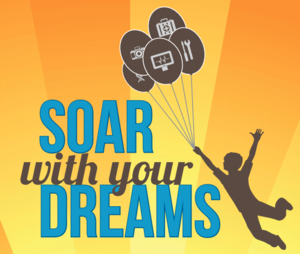 Save the date (March 2nd) for the 2019 Soar With Your Dreams career event. A fun and inspiring conference for students in grades 5-8 to explore career options and think about the future! Students will attend hands-on sessions where they will learn about different careers from people who work in those fields. DREAM BIG and learn how to make career dreams come true. Registration materials and more information will be coming soon.